Every plant manager's goal is to decrease downtime and increase productivity. Here are some tips for optimizing processes without putting strain on employees. Put a student driver behind the wheel of a Formula One race car, and you're not going to get the most out of that vehicle. Industrial machinery is the same. Put it in the hands of untrained operators, and productivity is lost. Manufacturers of industrial machinery usually perform onsite training during and after installation. However, many of them are happy to provide ongoing training — but you may have to ask. It is in a manufacturer's best interest to make sure plant personnel get the most out of their equipment; it results in fewer breakdowns, faster troubleshooting and repairs, greater customer satisfaction, more business and more referrals. Industrial trade shows are opportune times for operator training as well. Manufacturers spend tens of thousands of dollars to exhibit their equipment and are eager to get a return on that investment any way possible. Providing training to plant personnel is a very good use of their time — and yours. Retraining is also a vital part of the productivity equation. Operators and foremen should not only receive scheduled training, but should be required to pass a test or obtain a certification based on your criteria. Operator complacency and outdated skill sets lead to productivity losses, and are often hard to see. A formal training and certification program is a reliable method of overcoming these challenges. Manufacturers improve their equipment regularly and relentlessly. 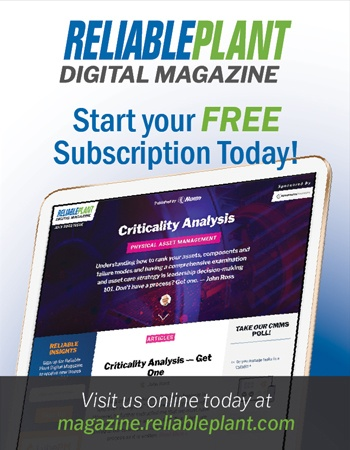 While it is a vital business attribute, manufacturer innovation means a plant that purchased a machine two years ago has a productivity disadvantage versus a competitor who purchased a newer version of the machine six months ago. There are, however, opportunities to upgrade old equipment to bring it up to the performance level of newer generations and models. Perhaps the most obvious candidates for upgrading are in controls and diagnostics. Computer technology advances at lightning speed. Retrofitting state-of-the-art controls and diagnostics technology on a piece of equipment can pave the way for dramatic productivity gains. Machine performance can be tracked and analyzed more quickly and accurately, operational problems can be identified and repaired more quickly, throughput data can be collected and reviewed in more detail, etc. Operations leadership should meet with equipment manufacturers regularly to discuss upgrade and retrofit options. In addition to improving productivity, upgrades offer tremendous financial benefit because they extend the life of the equipment. What brings down productivity in many operations are not big problems with training or equipment but a lot of little problems that go unnoticed. Highly efficient operations notice them, understand their impact on productivity and address them. Environmental factors fall into this category. If a plant is too hot, cold or noisy, workers lose energy, enthusiasm and the ability to focus clearly on the task at hand. Even something as simple as putting a padded floor mat on a concrete floor can produce immediate improvement in productivity. Material handling is another area where relatively small changes can produce meaningful productivity gains. For instance, connecting two high-performance machines with 30 feet of conveyor rather than have workers manually transport work in process might save several man-hours over a three-shift operation — as well as reduce injury and health-care expense. 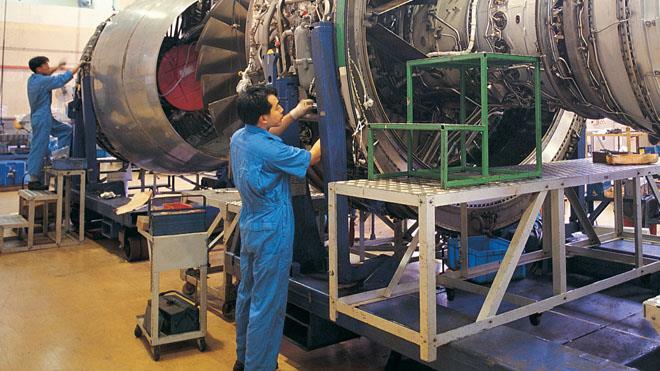 Parts and maintenance are two other areas where the downtime battle can be won or lost. Most important is to not be penny-wise and pound-foolish. Saving a few thousand dollars by keeping spare parts and replacement inventory levels low could cost tens of thousands of dollars if a $100 machine part fails and the company has to shut down for two shifts while waiting for a new one. Likewise, companies may be tempted to scale back on maintenance staffs and hours when business conditions are unfavorable. But there is a good reason why those Formula One cars make frequent pit stops. No matter how good the machine and how efficient the operators are, wear and tear will eventually bring the entire operation to a screeching halt. To reduce downtime and increase productivity, look carefully at the equipment, the operators and all aspects of the operation that affect them. Above all, look at productivity holistically. Focusing on only one or two things may indeed improve productivity, but those gains could be wiped out by ignoring something else.